Have a question? Perhaps we have it answered for you below. Biokinetics is the Science of Movement and the application of exercise in rehabilitative treatment of performance. Biokinetics primary function is to improve physical functioning and health care through exercise as modality. Movement may be diminished or lost because of heredity, aging, injury, or disease. Such loss may occur gradually, over the course of a lifetime, or traumatically in an instant. The profession of Biokinetics has evolved as a primary care health profession responding to the universal need for quality, accessible, cost-effective health care. Biokineticists are widely distributed in communities around the world; they provide economic value for the services they offer; they detect a wide spectrum of conditions at a savings to the health care system; they provide entry into the health care system for many patients who would otherwise not seek care; they prepare our children for the competitive marketplace by assuring their physical fitness and preparedness for learning and achievement; they maximize employment productivity and benefit economic stability; and they promote quality of life and individual independence, rather than more costly institutionalized and supported care. Functions within professional alliance to health and medicine, and is recognised by and registered with the Health Professions Council of South Africa. Improves a person’s physical wellbeing and quality of life through individualised scientific assessment and the prescription of exercise in rehabilitative treatment to prevent or intervene with certain ailments and the enhancement of performance (sport and work). Evaluates & Measures: body posture, body composition, blood pressure, glucose levels, lung function, heart rate, fitness, muscle strength, endurance, power, flexibility and other health screenings. Is a health professional who through health promotion and wellness create a better quality of life for people they work with? You can learn more about the scope of practice at BASA. When was Minette Schneider Biokineticist practise established? The practise was established in August 2007 at the premises of Hoërskool Oosterland. 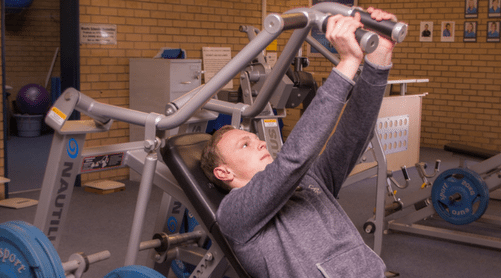 A year after the practise was opened we contracted Wellness World to equip the school with a gym facility that we still use today in our final phase rehabilitation. During 2010 we further expanded the practise with the introduction of a heated pool facility to further enhance our rehabilitation through our specialised hydrotherapy techniques. Does the medical aid pay for Biokinetics? Biokinetics is affiliated with most medical aids. Each medical aid has its own amount that will be paid out to biokineticists. 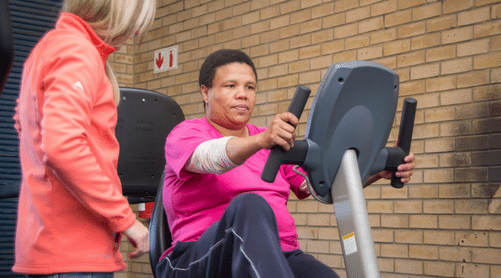 Physiotherapists generally treat patients in the acute phase of their rehabilitation and biokineticists then proceed with the final phase period of rehabilitation. The physiotherapist decreases swelling and inflammation and restore function and full, pain free range of motion. The biokineticist will then help to strengthen and restore atrophied and weak muscles in the final phase of rehabilitation. They will help the involved muscles to help your return to your sport or everyday activities. What does a session with a Biokineticist entail? The first session (1 hour) will include a thorough evaluation of your condition as explained above. Thereafter a specialized and unique exercise program will be designed for your needs. It will be explained to you in the exercise session by practically going through the exercises. Depending on your situation, further exercise sessions will be scheduled. Do we offer group classes? The cost of your sessions will be dependent on your condition and what will be treated in each individual session. What is the difference between our rehabilitative pilates classes vs other pilates instructors classes? To start pilates at our practice you firstly need to be assessed by a biokineticist and then attend a 1:1 session to learn the basic principles of pilates before you can start. 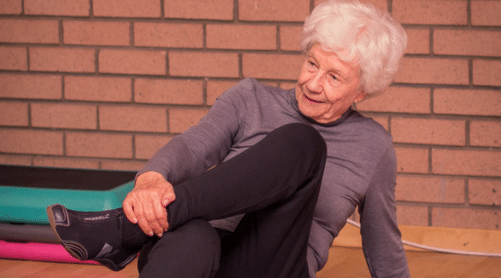 The biokineticist can also move patients to a pilates class if they underwent rehabilitation with us and the biokineticist feel that they are ready. 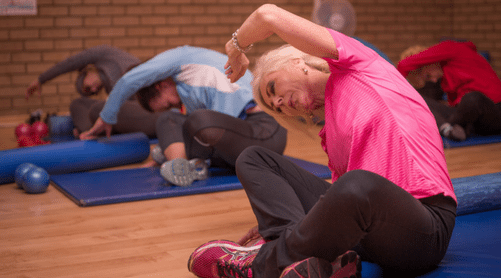 During our pilates classes we work hands on to help correct the exercises to prevent wrong movement patterns and bad posture which can lead to further injury. What specific diseases or disabilities does a biokineticist treat? What does Minette Schneider Biokineticists entail? We are a hard-working team that carries out our passion through our work as Biokineticists. We are treating numerous different conditions and people with their own challenges. That is why we know you cannot treat two people exactly the same. Therefore you can be assured that at Minette Schneider Biokineticist each patient’s condition will be treated individually. What does the water/hydro therapy entail? We do offer rehabilitation and group exercise in a heated pool (September to April). 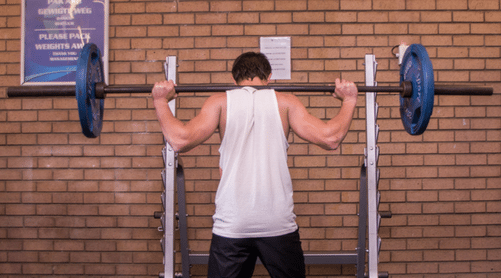 Specific techniques are used for individual patients, for example, Bad Ragaz, Watsu, Halliwick, Trunk stabilisation, Open and closed kinetic chain exercises. Have a queston not listed above?